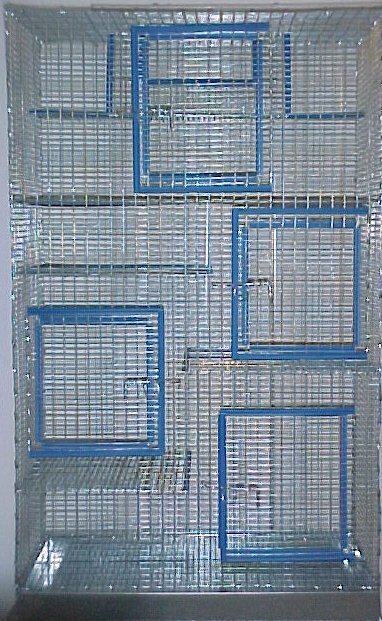 Chinchilla Safe Cages made in the USA! These cages are made right here in Sahuarita by myself. I provide an economical but also sturdy alternative to those found at pet stores with materials that are manufactured in the USA. 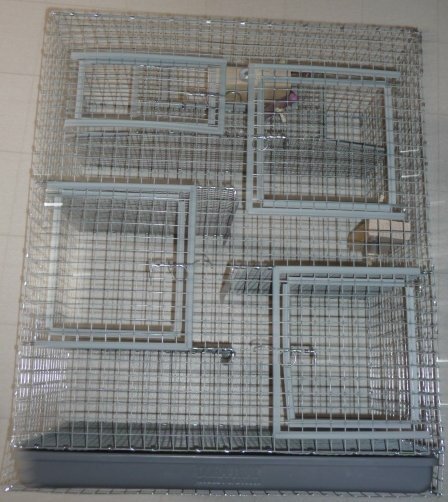 My cages provide a safe and clean environment for chinchillas while maximizing air circulation and allowing the cage to be easily maintained. All cages (unless otherwise requested in custom orders) have easy to clean slide out poly pans that will never rust and will outlast the rest of the cage! The wire used is high quality galvanized after weld wire that will hold up for years to come without rusting. Please let me know if you have an idea for a cage that you would like for me to build. I enjoy putting together plans for custom cages and working with people to make exactly what they are wanting. Email for a price quote for your custom cage. The cages below are just the standard models that customers have requested again and again. 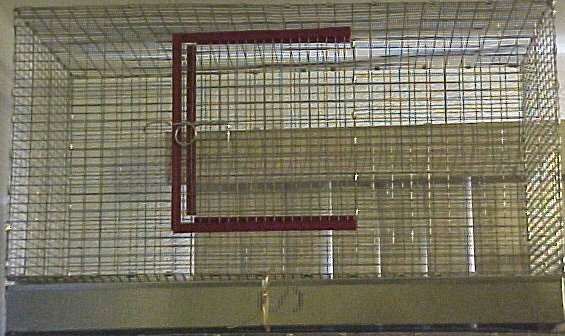 The cages are available with and without shelves. It's up to you what type of cage you'd like for your chinchilla. 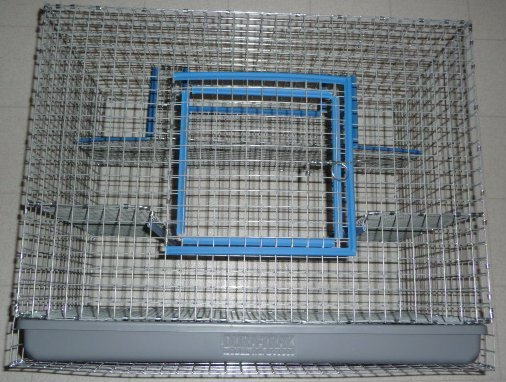 All cages have chinchilla safe 1/2" x 1/2" wire mesh for floors and shelves. The outer wire is 1" x 1/2", 1 "x 1" or 2" x 1" wire mesh. Email us at chinnies@azchins.com for more information. Cages are only available for pick up or delivery in Arizona. We do not ship cages. Click on the Product you would like to see. Slide out pan, 1" x 1" wire, 3 shelves, full center floor and sleeping ledge, 1/2" x 1/2" floors and shelves. Large Cage that can very adequately handle several chins! Slide out pan, 1" x 1" wire (1/2" x 1" if desired), 3 shelves and a sleeping ledge at the top, 1/2" x 1/2" floors and shelves. Good Sized Cage that can house one to three chins. Slide out pan, 1" x 1"wire (1/2" x 1" if desired), 2 shelves and a sleeping ledge, 1/2" x 1/2" floors and shelves. Excellent cage for one or two chins. 18" x 30" x 18"
Slide out pan, 1" x 1/2" or 1"x1" wire, 1/2" x 1/2" Floor. Good for one or two young chins. 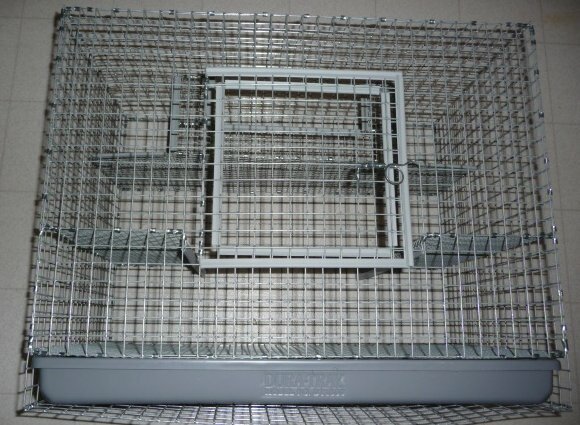 One Level cage that can be set up with ledges and other accessories for your chins without shelves getting in the way. Let me know if you want BLACK, RED, BLUE or GREY edging on your cage!! I can also make custom cages to suit your needs! Just let me know what you want and I will give you a quote for it. The price for cages ranges from about $45 to $200 depending on size. Email me at chinnies@azchins.com for more information. Please let me know if there is anything else you may need for your chinchillas!! I can manufacter custom shelves out of wire or wood to fit your current cages. Remember that chinchillas are small, accident-prone animals that can get injured from falling from heights greater than about 20 inches. Take extreme care when introducing a chin to his new home. Chins may run into the sides or shelves if they are not used to being in their new environment!